Goonoo Forest near the Warrembungles NSW after intense Bushfires. Lansdcape of desolation and destruction. 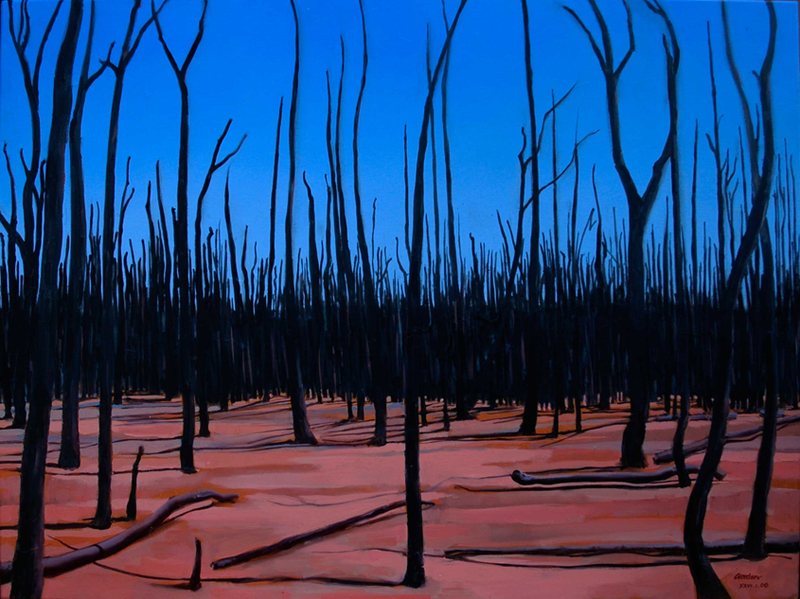 Landscape as metaphor for environmental devastation related to Climate Change and Global warming. While fires are a natural phenomenon, humans contribute substantially to making them occur – Nature meets Hominoid rapaciousness. Governments’ reactionary inaction in Australia trails woefully behind devloped countries’ efforts to address Global warming.